To be honest, I rather dislike reviewing the first part of two-part finales. Like 2014’s “Dark Water”—and we all know how well that turned out—”World Enough and Time” is a long set-up of mysteries and crises that next week may or may not manage to resolve in a satisfactory way. But, that being said, “World Enough and Time” is a pretty good set-up. What’s more, as the first part of Steven Moffat’s penultimate story as Doctor Who‘s showrunner, it manages to feel fresh and exciting, while functioning as a remarkably coherent greatest-hits tape for the Moffat age. Moffat revisits a lot of his favorite tropes and themes here, which made me feel downright nostalgic for the era about to end. Dare we hope this means there’s been a method to the madness all along, and that Moffat is building up to tying a nice, thematically-consistent bow around his entire run? Probably not, but it’s pretty to think so. So let’s take a look at this episode while revisiting some key themes of the seven-year Moffat era. As I mentioned last week, this year’s season-long arc is the most satisfactory of Moffat’s entire run, because it’s grounded in character, not contrivance. Cracks in Time, Impossible Astronauts, Impossible Girls, Promised Lands, and Hybrids are all well and good, but they all followed the Russell T. Davies “Bad Wolf”/”Vote Saxon” model of dropping enigmatic teases throughout their respective seasons. They were taunting mysteries we weren’t really meant to figure out, and their explanations—by the time they finally came—tended to be anti-climactic, incomprehensible, or both. Moffat is doing something different in Season Ten. The Vault looked like it was going to be that kind of mystery, but its secrets were all surrendered by Episode Six. The ultimate questions of this season aren’t about who or what is in the Vault, but who or what is in Missy, the Vault’s occupant. Is she harboring an evil plan? Is she willing to, and capable of, change? Can she possibly be—could she ever possibly be—good? 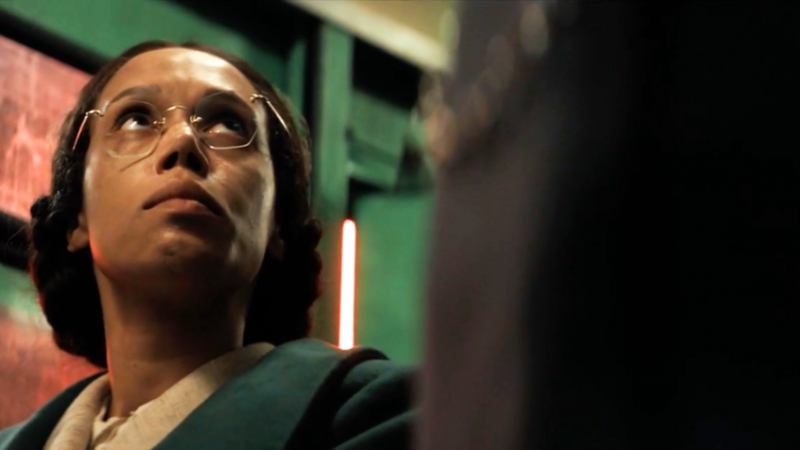 And, as Bill observes this week, the question of Missy’s redemption is a larger question for the Doctor himself. “She’s the only person I’ve ever met who’s even remotely like me,” he says, to explain why he’s so invested in Missy. “So, more than anything, you want her to be good,” Bill says in response. 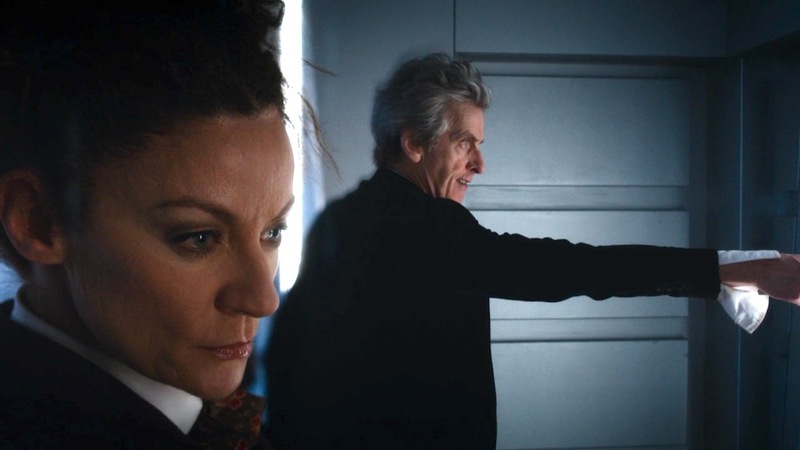 But Missy’s attempt to be a hero hits a bit of snag, as she runs into her own dark reflection: her previous regeneration, the Master (John Simm). 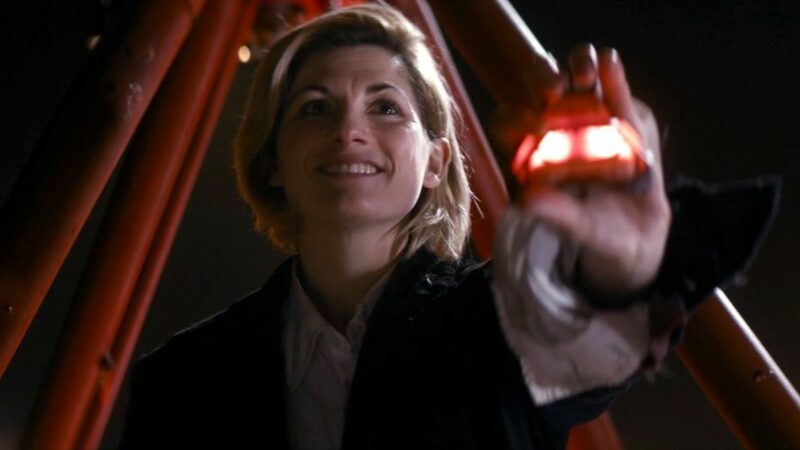 It’s a nice idea for Doctor Who—there have been many multi-Doctor stories, so why has there never been a Master team-up before?—and it’s a lovely way to make her truly, literally confront her own past crimes and the dark side of her own soul. Just as Moffat had to deal with the darker version of the Doctor he inherited from the RTD era (in part by having him meet his predecessors in “The Day of the Doctor“), so it’s appropriate that Missy’s redemptive arc has to go through Simm’s genocidally unhinged Master. 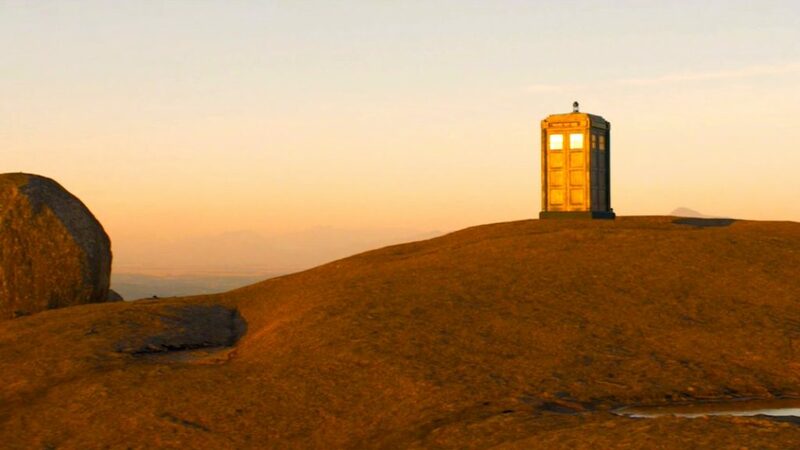 In addition to exploring the dual nature of the Doctor, the other, deeply related central theme Moffat has been obsessed with, throughout his entire run of Doctor Who, is what I’ve called “The Companion Conundrum.” Put simply, it’s the Doctor’s—and the show’s—awareness that it is wildly irresponsible for him to travel with humans. “World Enough and Time” hits this theme hard right out of the gate, and indicates that Moffat still has some unresolved issues to consider on this front. I’ve written a lot about this before, and so I’ll spare you a thoroughly encyclopedic accounting of how Moffat has been obsessed with this theme all along. 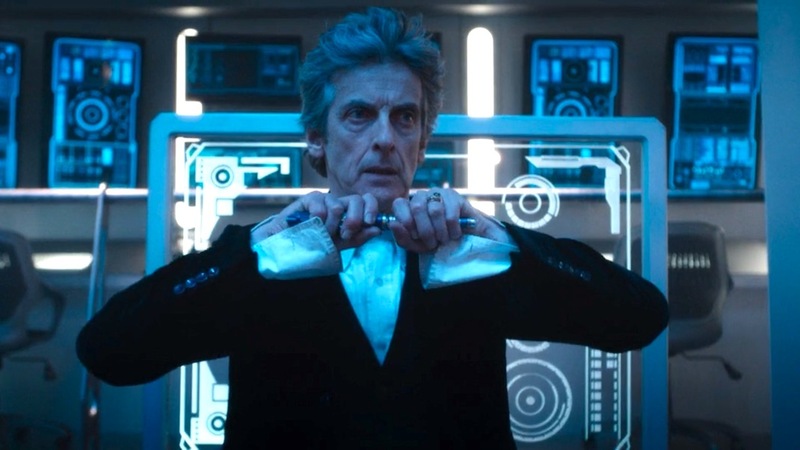 It was the central theme of his relationship with Amy Pond, hitting its peak in episodes like “A Good Man Goes to War,” “The Girl Who Waited,” and “The God Complex.” It became a major theme as well throughout his relationship with Clara Oswald: her becoming more and more like the Doctor became increasingly troubling in episodes like “The Caretaker,” “Flatline,” and “Before the Flood,” and finally got her killed in “Face the Raven.” And the Doctor’s somewhat unhealthy, frequently dangerous influence on the people he encounters is a theme that has been echoed in other supporting and minor characters like Kazran Sardick (in “A Christmas Carol”), Lorna Bucket (in “A Good Man Goes to War“), Craig Owens (in “The Lodger” and “Closing Time“), and Ashildr (in “The Woman Who Lived”), among many others. 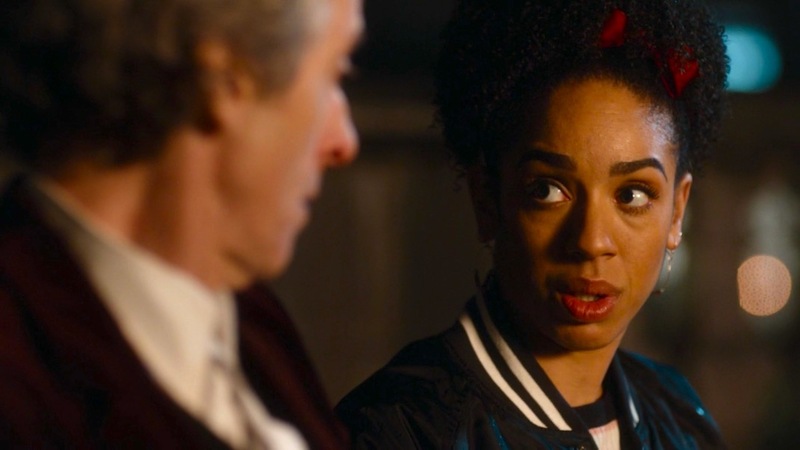 In that flashback, we see Bill say how much Missy scares her—but Bill is brave, and she has learned to even braver while traveling with the Doctor. (“Scared is fine, scared is human,” she lectured other people just last week. “But I’ll tell you what it isn’t. It isn’t a plan.”) So when Jorj (Oliver Lansley) starts waving a gun around and demanding to know who the human is, Bill barely hesitates to step forward and admit her humanity. And her reward is to have a football-sized hole blown in her chest. To me, the sudden, stupid death of a companion would be the logical and thematically satisfying culmination of all of Moffat’s fascination with the “Companion Conundrum.” (As much as I love Bill—and she’s my favorite companion since Donna—I had about half-a-second of thrill at thinking Doctor Who might really kill her like this.) 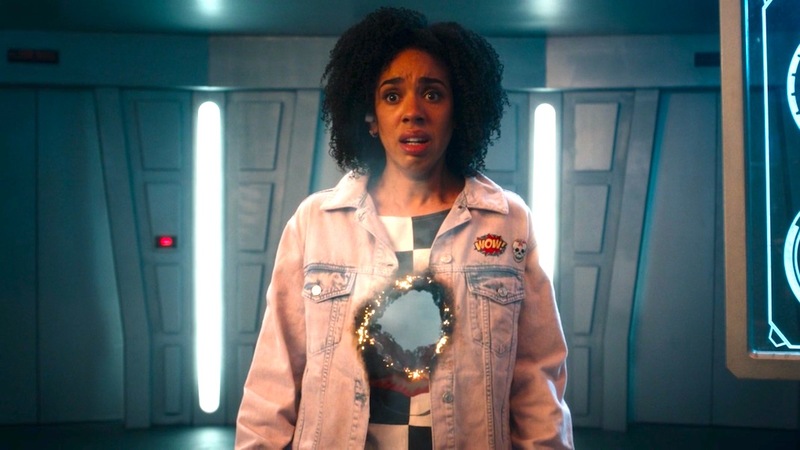 But Moffat gets to have his cake and eat it too: Bill is not dead, but what happens to her—as with what happened to Donna—may be worse: she loses her heart (symbolically, as well as literally), and by the end of this episode she has been fully converted into a Cyberman. These—and many other examples—can be seen as simple sci-fi tropes, obviously. But there is also a consistent theme running throughout the Moffat era: hanging around the Doctor, ordinary people run a serious risk of losing their humanity. When I began writing this post, I started by saying “I’m going to keep my review short this week.” I have since, obviously, deleted that sentence, because I realized I had much more to say about “World Enough and Time” than I’d expected. (And I haven’t even discussed the episode itself that much.) I kind of love that about Doctor Who, and it’s one of the reasons I write about it in the first place: stories that seem simple, once I dig into them, have a lot more going on than I’d realized. Even the basic premise of this episode—a 400-mile-long spaceship where time is moving faster at one end than the other—is classic Moffat, both creatively and thematically. Creatively, it’s a new spin on Moffat’s beloved “wibbly-wobbly, timey-wimey” stuff. No showrunner or head writer in the entirety of Doctor Who history has been so enamored of the possibilities of playing with time. (As I’ve said before, time-travel has mostly been a means of getting to the story in Doctor Who, and only seldom a major factor in the story itself.) Moffat has always been particularly adept at using time-travel as a plot device—in stories like “The Girl in the Fireplace,” “Blink,” “A Christmas Carol,” and many others—and he has even been good at finding ways to play with time in stories that don’t explicitly rely on time loops (like Donna’s experience in “Forest of the Dead,” Amy’s in “The Girl Who Waited,” and the Doctor’s in “Heaven Sent.”) Here, in “World Enough and Time,” he does it one more time, finding a fresh approach to time shenanigans in his final regular-season story. But it has a thematic purpose too. It’s no coincidence that I’ve referenced Tom McCrae’s “The Girl Who Waited” so many times in this post. (And it’s not just because it is one of my favorite Moffat-era stories, and certainly my favorite of those Moffat didn’t write himself.) For “World Enough and Time” is something of a spiritual sister to that Season Six story. In both stories, the Doctor’s trusted (and trusting) companion gets trapped in a time stream that moves at a different speed than the one the Doctor himself is in: Amy and Bill each becomes “the girl who waited,” and each is ultimately disappointed and disillusioned by their faith in the Doctor. (“I waited for you” is the last thing Cyber-Bill says in this episode, a tear running down her face behind her soulless Mondasian shell.) They trusted him, and that trust was not warranted, and they each lost their humanity in the process. (Amy figuratively, Bill literally). So it’s both an example of, and an elaborate metaphor for, the Companion Conundrum. These are specific, highly problematic situations, but they are also symbols of the larger, uncomfortable truth of Doctor Who: the Doctor and his companions are going through life at different speeds. In “World Enough and Time,” as in “The Girl Who Waited,” the human companion loses years—and her humanity—to what is just a few minutes of time from the Doctor’s perspective. That’s also the larger metaphoric reality of the Doctor/Companion relationship: he’s basically immortal, but his traveling companions are mortal and cursed with tragically short lifespans. It’s no coincidence that, in both cases, the Doctor is in the slower timeline, while the companions’ lives flash in the blink of an eye: what is a long relationship from their perspective is just a few quick moments of the Doctor’s life. (“You can spend the rest of your life with me, but I can’t spend the rest of mine with you,” the Doctor told Rose in “School Reunion.”) The Doctor describes the part of the ship he’s standing in as being soaked in “Superman gravity.” He’s a Superman, and compared to him humans are mere mortals, as tiny, fragile, and fleeting as mayflies. That’s the conundrum, because—logically—it is wholly irresponsible for the Doctor to travel with humans. Look at the history of companions in the modern era: only Martha, arguably, came out unscathed (and even she had to have her heart broken and go through a year of purgatory in “The Last of the Time Lords”). Otherwise, Rose got trapped in another dimension, Donna got her mind erased, Amy and Rory lost their child and ended up trapped in the past, and Clara “died.” Now, Bill, too, may have paid the ultimate price for her brief dalliance with the Doctor. These are not entirely happy fates. Don’t get me wrong: the Doctor’s influence is good, too, obviously, and I have no doubt that every one of those people would say that the experience was worth it. (Even knowing all the dangers, none of them—none of us—would pass up the chance to travel in the TARDIS.) But it’s still a problem. It is, as Missy observes, “cradle-snatching.” It is, as the Doctor himself knows deep down, like “offering a child a suitcase full of sweets.” It’s reckless, it’s dangerous, and it’s really kind of selfish on his part. 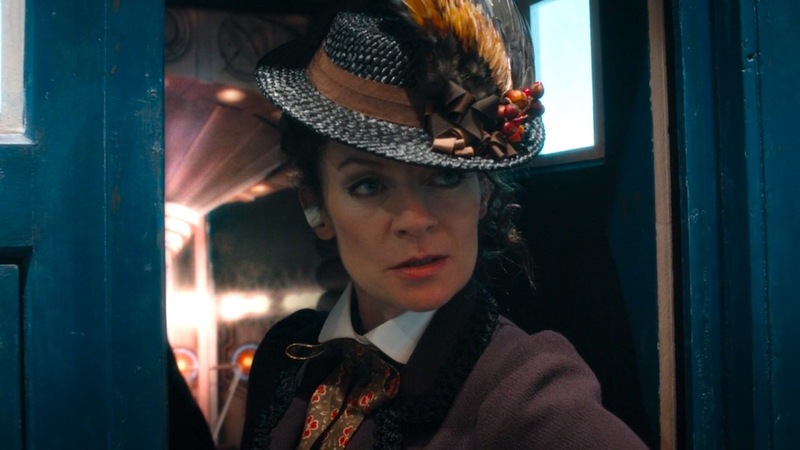 This, perhaps, is the real difference between the Doctor and Missy: the Master never really had any companions, never had anything but contempt for humans, never had anyone to care about. 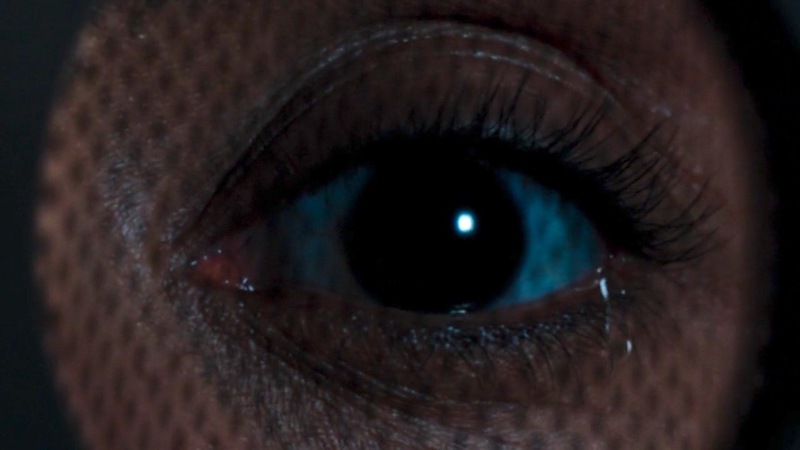 (In “Utopia,” Professor Yana had a close companion in the kindly Chantho, but he had to kill her the moment he became the Master once more: he has no use—and perhaps even no tolerance—for emotional connections.) Missy begins her tenure as “Doctor Who” in “World Enough and Time” by expressing her disdain for her companions—she doesn’t see their point—and this, perhaps, is the “music” Missy can’t quite hear, as the Doctor said last week. 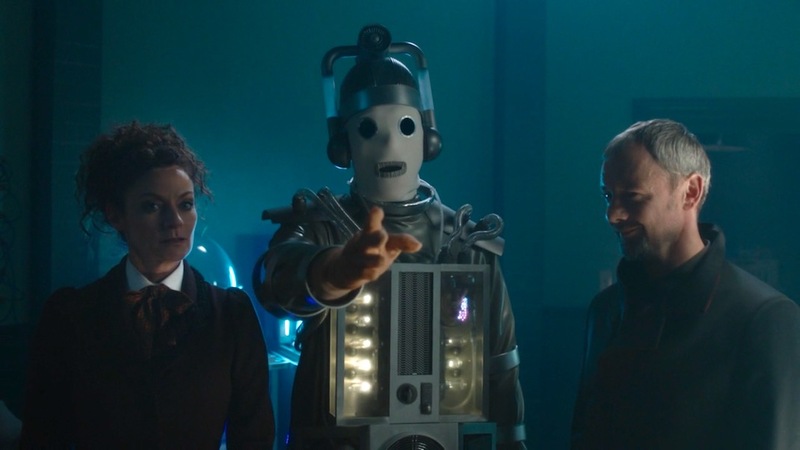 They are what prevents Missy from being the Doctor, and they are perhaps all that prevents the Doctor from being Missy. As I said when I began, I dislike discussing the first part of a two-part story. As we were reminded as recently as episodes six, seven, and eight of this season, Moffat has always been slightly better at planting thematic seeds than he is at harvesting them, so it remains to be seen whether his final story (barring the Christmas special) will find any kind of meaningful resolution for all of this dark subtext he has layered into his six seasons. But I’m optimistic, and the fact that we can even have the discussion—about a “silly children’s show”—demonstrates that there is has been a remarkable thematic consistency, and a fairly sophisticated vision, in Moffat’s era of Doctor Who. I didn’t discuss very many specifics of the episode, but I liked it very much. The concept was clever, the Cyber-Patients were creepy, and the bit with the volume-control knob was way creepy. There are minor plot-points I don’t completely understand—why wouldn’t the hospital just do a full conversion on Bill the moment she arrives with a hole in her chest?—but the episode was good enough that I’m not inclined to pick nits. Moffat, at the end of his run, is just trolling fans with that “His real name is Doctor Who” thing, right? I ignored my lit-major temptation to spend this entire review parsing the title, which is from Andrew Marvell’s poem “To His Coy Mistress.” Look it up: it will be on the final. All these mentions of Clara’s fate made me realize that we never got to hear your thoughts on Hell Bent, which is a pretty divisivs and important episode. I’d love to know your opinion at some point !